Green buildings construction seems to be all the rage today as it holds a very important place in today’s environmental policy. The search for carbon neutrality while trying to live in the most sustainable way is a good thing but doing so in “green buildings” is even better. A green building is a “healthy” construction, using natural materials, rejecting the use of toxic substances in the manufacturing of construction materials, limiting negative impacts of human habitat on the environment and reducing energy consumption. Ideally a green construction should adapt to its natural environment and to people, as the inhabitants’ well-being is essential. A green building should implement environmentally-friendly practices in every step of the process: design, construction, maintenance, renovation, demolition and recycling. Sustainable or “green” construction can be defined as a combination of techniques and materials which, together, can contribute to enhance environmental performance. Optimization of energy efficiency, use of recycled materials, limitation of water consumption and of waste production are the main components of this kind of building. 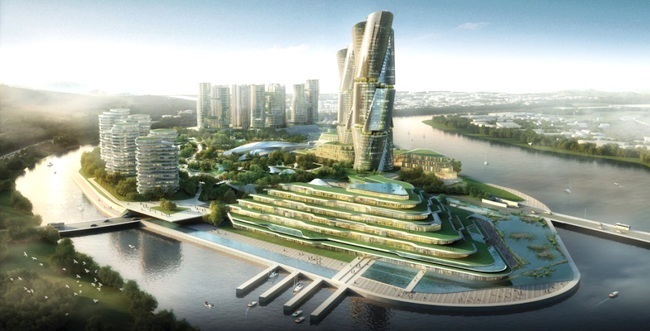 Several parameters must be considered before starting a green building. Indeed, builders should first consider the project as a whole, emphasize natural light installations and a good thermal insulation of the building, use natural materials with low energy footprint in their treatment and transportation, use renewable energies and choose “smart” equipment like energy-efficient lighting and heating systems. Building a healthy habitat should also go hand in hand with a healthy site: check the condition of the ground (contaminated soils…) and of the environment (presence of plants, highways ...). Let’s focus now on two types of “green buildings”: natural construction and passive construction, as well as the materials which are used to build them. Natural construction must obey two principles: the architecture must be adapted to the environment and it must use natural or renewable materials. Natural construction often relies on materials that come directly from nature (no industrial origin), are locally available, recycled, recyclable and renewable. The integration of the building in its environment also plays a major part. Indeed, it should be “part” of it, which means nature-inspired architecture and natural looking colours. Natural structures should ideally be built with green construction equipment. Indeed, several construction equipment brands are starting to go green and tend to limit their ecological footprint. For instance, Volvo has developed a green initiative to enhance the use of bio-degradable hydraulic fluids and to reuse the components for other applications. A passive building is a construction which guarantees a comfortable indoor climate both in summer and winter, without additional heating system. Translated from the German word “passivhaus”, a passive building aims at reducing energy consumption, optimizing the use of solar energy, reinforcing building insulation thanks to renewable energies and heat recovery. Passive houses usually have a rather compact aspect, which is a condition to reach a low energy consumption. In order to build a passive house, several elements must be taken into consideration: a very good insulation of the whole building; windows with triple glazing, large south-oriented bay windows, a double flow CMV with heating recovery and thermal solar for hot water needs. 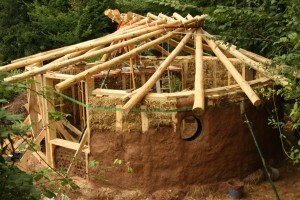 To build a natural or a passive construction, several materials are used. Among them, wood holds a major place. Another material which is often used in green building is mono-wall clay brick. Brick plays a very important role in green building construction as it doesn’t require double insulation inside or outside. It’s a self-insulated material. The insulating power is such that we can save 10% of the energy, compared to a house insulated from the inside. Besides, clay brick also plays the role of a heating system as it stores heating during the day and spreads it at night and is also a great barrier against humidity as it absorbs 5 times less water than other wall types, which limits condensation problems. 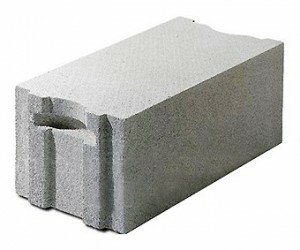 Aerated concrete, also called thermostone, is also used as a green material in sustainable construction. It is a very light concrete that is made of water, silica sand, cement, lime and air, which guarantees a perfectly homogeneous wall and limits losses due to thermal bridges. Its honeycomb structure enables to compress air and to regulate heat and cold. It is very resistant to compression, water and fire. Contrary to popular thinking, a green construction is not necessarily more expensive than a “non-sustainable” construction. Indeed, from the one hand, we are currently witnessing a rise in the cost of fossil energy and on the other hand, the idea of low rate green loans for houses is starting to develop. In the long run, green construction will turn out to be more economical. 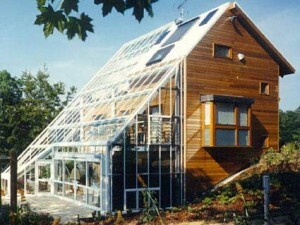 Besides, buying or building a green house should entice owners to think in the long run. Indeed, when comes the time to sell the house, one may keep in mind that a sustainable house will sell much better than a normal one, so from an investment logic, the choice of a green building becomes quite obvious. Besides selling, renting is also very advantageous as tenants are often seduced by low charges and the comfort that a green construction offers. Last but not least, the choice of a green construction is also mainly motivated by an environmentally-friendly approach. Therefore, green building must pursue its development considering environmental concerns and non-renewable resources shortage. This type of construction is not an alternative but the only way to face the current environmental challenges.